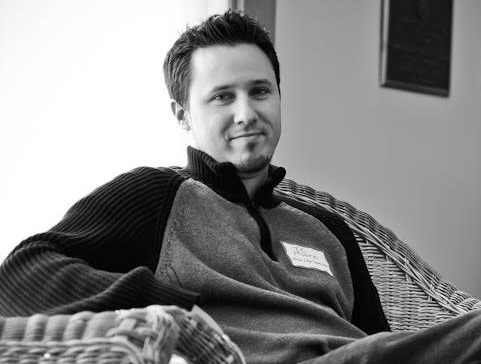 Fellow open theist blogger TC Moore has an interesting post well worth reading over at Theological Graffiti. He reviews and discusses Justo González’s Manana: Christian Theology from a Hispanic Perspective (Abingdon, 1990). Even as fellow open theists, TC and we don’t see eye to eye on everything, but we’re glad he made this review available. It’s extremely relevant and worth digesting. He highlights important issues re: the nature of divine suffering and the sociocultural influences TC believes (with González) are responsible for the corruption of biblical belief along the lines of immutability. Not a position we agree with, but still an important part of any discussion re: the views ancient Christians held regarding impassibility. Barth must be the most photogenic theologian of all time. Gotta give him that. Very cool. Love the pipe. It’ll be June before we engage McCormack’s Ch. 10 “The Actuality of God: Karl Barth in Conversation with Open Theism” (in Engaging the Doctrine of God: Contemporary Protestant Perspectives [Baker, 2008]). If you’re interested, you’ll want to read our 13 page version of that chapter (edited down from the original 58 pages). In this post we only want to summarize the main points of McCormack’s argument. After we’re clear on just what McCormack’s argument is, we’ll begin to engage it. But for now we want to be sure his points are understood. I hope discussion of this summary can produce a succinct paragraph or two that captures the heart of McCormack’s argument against open theism. It would be great to have Kim Fabricius or others who agree with McCormack here to chime in. I thought I’d number the main points in order as they’re encountered in the chapter. Having them numbered will help when discussing them. 1 Both classical and open theisms have values that need to be preserved, but neither can preserve these values because both occupy a shared metaphysical ground on which no resolution is possible. Barth on the other hand represents a break with this metaphysical heritage and is able to preserve in a single, unified conception the values rightly pursued by both classical and open theists. 2 Open theism is found on a spectrum of beliefs that ranges from classical theism on one end to process theism on the other. In spite of their differences, classical and process theism share the methodological decision to determine a priori from reflection upon some aspect(s) of creaturely reality what is knowable about God independently of God’s self-revelation in Christ. 3 When Christology is finally introduced, its central terms (‘deity’, ‘nature’, ‘person’) have already been filled with content. Barth on the other hand rejects such metaphysical thinking and adopts a strictly Christological approach. 4 Open theists are interested in two things: the will of God as it relates to free rational creatures (i.e., providence) and the question of what God knows and when he knows it (i.e., foreknowledge). They hold exhaustive divine foreknowledge to be incompatible with human freedom, but more basic is their take on the divine concursus, the doctrine of providence which addresses the question of how God interacts with creatures in order to ensure that his will is done. 5 Open theism’s fundamental metaphysical move is deriving a metaphysics of love from the Johannine axiom that “God is love” and to do so independently of Christology. This axiom is made into a hermeneutical key to interpret biblical evidence without any sense that an illegitimate anthropopathizing of God might be taking place. 6 The OT contains passages which speak of God as changing his mind or repenting of decisions already made. It also contains passages that set forth a strong view of immutability. Open theists make the former a “fixed pole” and treat the latter as a problem to be solved. Both passages should be left to stand in unresolved tension in the realization that ancient perceptions about God would quite naturally undergo growth and development until the definitive had come in the form of his Son. 7 Re: Christology Pinnock finds himself in a dilemma. On the one hand he wants to affirm divine mutability in a strong sense. On the other hand he needs to uphold the full humanity of Jesus. Boyd/Eddy offer an ‘evangelical kenoticism’ in which Jesus gives up only those divine attributes that would conflict with his human nature. This kenoticism leaves untouched the ‘essentialism’ that made classical theism even possible. The lack of an adequate Christology — one which gives comprehensive attention to the problem of the ontological constitution of the Mediator — to be the single biggest defect of open theism. 8 Re: divine providence, open theists’ doctrine of providence is rooted in Arminianism, viz., its understanding of (libertarian) freedom. But open theism’s radicality emerges in their view of divine foreknowledge. How does God convert (in open theism)? Through an offer of the gospel which individuals are (libertarianly) free to accept or reject. This view of freedom is the motor that drives open theism’s doctrine of providence. It also means God’s will is a work-in-progress. 9 Re: the philosophical case for open theism, the heart of the argument against exhaustive foreknowledge is the claim that such knowledge is logically incompatible with genuine human freedom. The Achilles heel of this argument lies in the fact that it confuses “certainty” with “necessity” as Bill Craig has described. God’s foreknowledge gives him certainty about what will happen, but this has nothing to do with determining the ‘necessity’ vs ‘contingency’ of the events. This logic is irrefutable. 10 Re: the orthodoxy of open theism, its doctrine of foreknowledge goes beyond anything that traditional Arminianism would grant. The Council of Orange (5th c) best delimits the only orthodox theological options here: either unconditional election or a conditional election based upon God’s foreknowledge of those who believe. 11 God’s being is actus purus et singularis. Barth believed that what God is can be known, but only in the act of his own self-revelation. We cannot know what God is on the basis of what ‘actuality’ is outside the event of God’s revelation in Christ. God’s being-in-act is a being in a particular event, an event whose singularity consists in the fact that its basis is different from all other events in history. 12 It follows that we can know what is meant by “God is love” only when we have before us the divine “person” and not human persons. “God is love” does not mean simply that God is well disposed toward us. It is a statement which describes the nature and meaning of the act in which God gives himself his own being. 13 The correction offered here to open theism is obvious. Open theists would really like to say what Barth says, that love is the “essence” of God. On the basis of metaphysical essentialism, however, they are only able to speak of dispositional states. 14 In sum, God’s being-in-act is his being in the eternal act of turning toward the human race in the covenant of grace, and as a direct consequence, it is his being in history as incarnate Lord and outpoured Spirit as the completion of this eternal act. 15 If the problems resident in the nexus of ideas which made the Chalcedonian Formula possible in the first place are to be overcome without setting aside the theological values contained in that formula, then clearly a different set of ontological commitments is needed. This means replacing the doctrine of “substance” with a different understanding of “essence”—one that is both actualized and historicized. In the process, the thought of a divine timelessness and impassibility is rendered completely untenable. That is Barth’s contribution. 16 The critique of impassibility asks, Who is the subject who suffers in Jesus? A single-subject Christology such as Chalcedon’s cannot adequately answer this. There can be only one subject who suffers in Christ, and this cannot happen without any ontological implications for his divine nature. If the Logos is the subject of the human sufferings of Jesus, then suffering is an event which takes place within the divine life — which means that the divine “nature” cannot be rightly defined in abstraction from the event. That nature can only be defined by this event. 17 One can indeed say that God knows all that will happen in the world even before he creates the world and one can even say that God knows all that will happen precisely because he has willed all things (thus making foreknowledge to be dependent upon foreordination) and still not make all events to be necessary. Foreknowledge does not itself necessitate anything. 18 Compatibilism (in Thomas’ hands) is indeed coherent. But Barth did not follow Thomas or the later Calvinists in making the efficacy of God’s eternal will depend on a work that God does in human beings. He provided a revised understanding of providence that honors the autonomy proper to the creature (Barth’s doctrine of concursus). 19 How is God’s will made effective in the world? Barth’s answer is simple: God makes his will effective through his Word and his Spirit. God’s utterance to all creatures of his Word has all the force and wisdom and goodness of his Spirit. 20 In sum, the concern of open theists to preserve the relative autonomy proper to the creature has been upheld by Barth. But he has upheld it without surrendering an exhaustive divine foreknowledge. God knows all things because he wills all things: This much Barth shares. But God wills all things only in relation to a covenant of grace which is made efficacious in and through all creaturely occurrence without detriment to the relative autonomy of human beings. 21 To define the “essence” of God in terms of both necessity and contingency, of immutability and mutability, of absoluteness and concreteness is to allow both elements in these pairs to be canceled out by the other, for an essence that is contingent, mutable and concrete cannot be necessary, immutable, and absolute unless God is necessary, immutable and absolute precisely in his contingency, mutability and concreteness. We’re going to make this summary available for comment and engagement until we’re confident we’ve accurately understood McCormack’s position and boiled it down to its essentials. No sense in moving forward until that’s done. 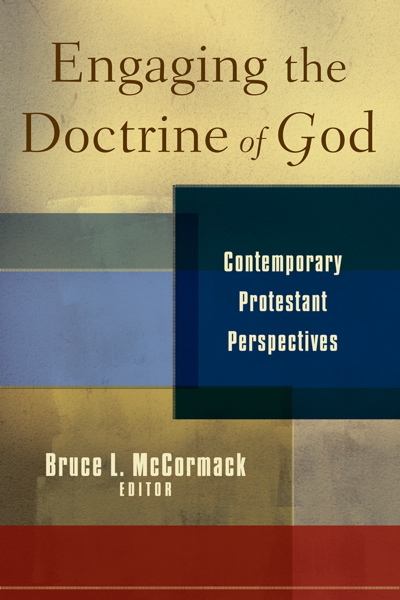 In responding to Fr Aidan’s guest post, Kim Fabricious refers to Bruce McCormack’s Chapter 10 in Engaging the Doctrine of God: Contemporary Protestant Perspectives (Baker, 2008). We summarized Kim’s response to Fr Aidan re: open theism and said we’d like to return at some point in the future with a series of posts that engage McCormack’s chapter more directly. Until we launch that series you may want to familiarize yourself with the chapter in question. It’s a whopping 58 pages, but for the sake of online discussion we’re happy to share a 13 page summary of it here for your convenience. We’ll be back later to discuss it, but you’ll want some time to digest it. I don’t have the energy to weed out the typos. Sorry. There’s a mistake on the first page (“…of some aspect of aspects” should read “aspect or aspects”). Enjoy! Seems logical, right? Dwayne and I are each a father of four kids whom we love immensely, and we’ve experienced the sort of dependency Dr. Phil describes. You can certainly see the givenness of his description in every family born out in the experience of parents in every culture. 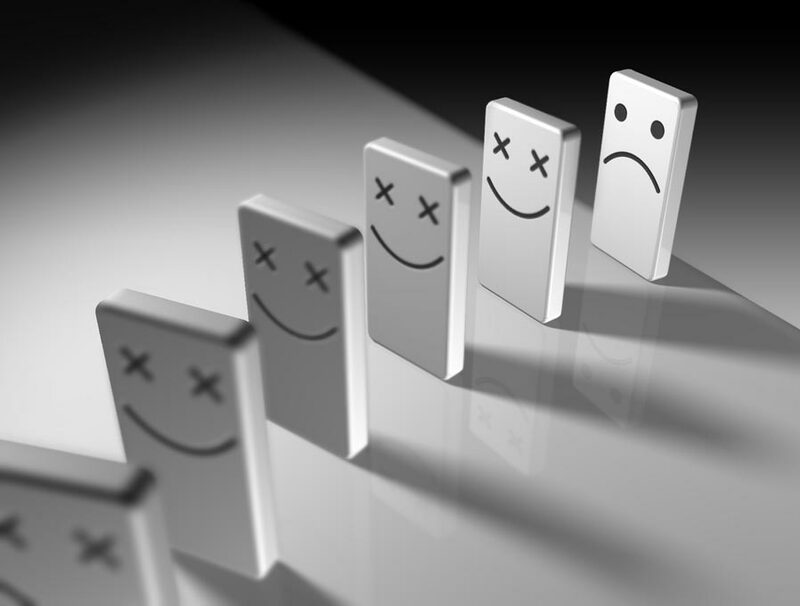 Trouble is, it describes a codependent and dysfunctional relationship. I admit to having been there myself, and I still am tempted to outsource my happiness to my children. But I think I’ve grown enough spiritually and come to perceive my happiness as defined by God alone to say with relative confidence that what Dr. Phil is describing is unhealthy and despairing (in the Kierkegaardian sense; had to bring in SK next to Dr. Phil!). It’s not true that parental love is only love if it makes its own internal happiness dependent upon the happiness of one’s children. This does not mean you don’t care about your children, pursue their highest good, respect their freedom to make their own choices, and rush to their side when they suffer. But that I am no more happy than my saddest child? Not anymore. That we can hardly bring ourselves to imagine things differently than this (in the codependent sort of way Dr. Phil describes) attests to the power and influence of the dysfunctions that define us. The problem here is that this same psychology attends much of Protestant Christianity, something we’ve talked about here before (see God’s Green Mile and Negotiated Happiness). If you believe you can’t be any happier than your saddest or most miserable child, naturally you’re going to view God in similar terms. 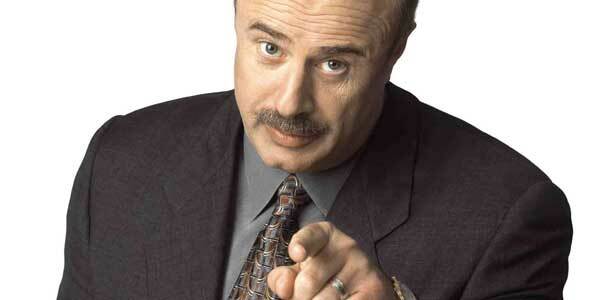 That is, if you can’t conceive of your own happiness as independent of the happiness of those you love, indeed, if you conceive of love as the sacrificing of happiness as Dr. Phil describes, and you’re convinced God loves us, then naturally you’re going to conceive of God’s happiness as dependent upon us. And so it is that many Protestants and Evangelicals, truth be told (as my experience working in the Recovery community and helping people through the years have provided overwhelming evidence), view God as no more happy than the saddest of all the creatures he loves. By my math that would make God the saddest conceivable being. 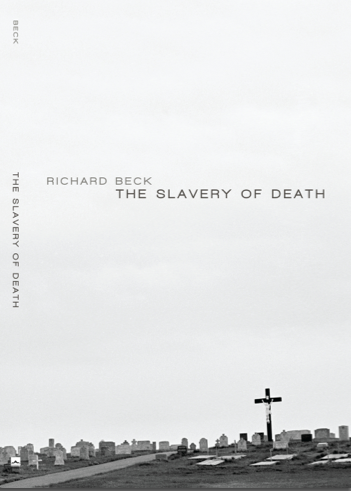 Richard Beck over at Experimental Theology hits the nail on the heard with The Slavery of Death: Q&A about which he has a book out under the same name. I thought it interesting especially since Hebrews 2:14-17 is our text for this (Easter) Sunday at Emmanuel under the general theme that we naturally carry the sentence of death and come to enjoy the sentence of life through Christ. And the Orthodox preference for describing humanity’s predicament primarily in terms of our fear of and slavery to death (with sin as a consequence of this) strikes me as true as well. Tom Torrance an open theist? (a) Greg does indeed associate his open theism with his doctrine of God. In fact, Greg settled on the open view precisely as the result of his work on the doctrine of God (cf. Trinity & Process). (b) It doesn’t follow from open theism that “God’s life becomes contingent upon” creation in any objectionable sense noted by Torrance. Are some divine choices (like whether God blesses or judges people) contingent upon the human choices which warrant such divine action? Yes. But this hardly reduces “God’s life” without remainder to the contingencies of the world. (c) Nothing of Torrance’s comments that Grow cites cannot be wholeheartedly affirmed by an open theist — viz., the self-existent fullness of God’s triune reality, God’s freedom from creation, the absolute gratuity of the world, etc. Affirming just these divine perfections sans creation was precisely the aim of Greg’s work on Hartshorne.